The SM series industrial sectional doors have standard dimensions in width up to 8.0 m and height up to 7.5 m.
Designed to meet the most extreme market requirements, these doors are produced with panels of thickness 40, 60 or, on request, 80 mm made of double pre-painted galvanized sheet with a thickness of 0.5 mm, insulated with high density polyurethane; the heads are reinforced by pre-coated steel profiles with a thickness of 1.5 mm with pre-holes. SM series doors don’t have torsion group and are guaranteed for 1.000.000 cycles and their opening speed of can vary from 163 to 653 mm/sec depending on the type of motor and inverter installed. 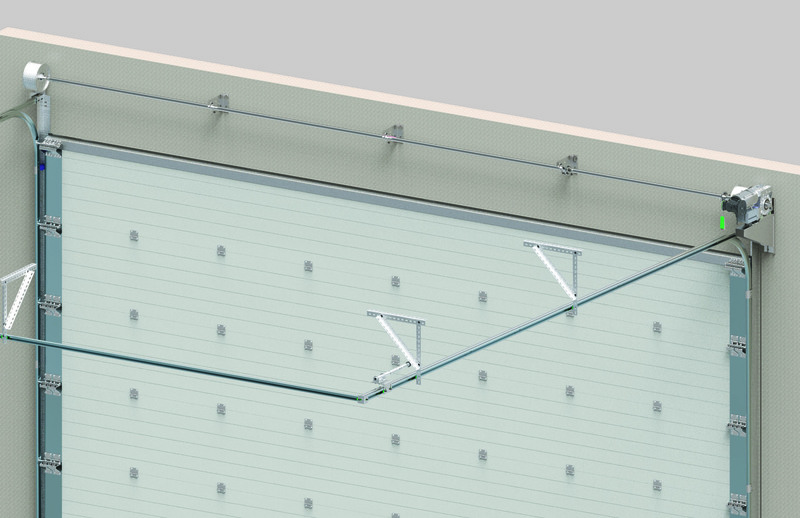 Available in standard lintel of 450 mm or, on request, with inclined and partially or totally vertical sliding. Doors larger than the maximum ones can be made after feasibility check.